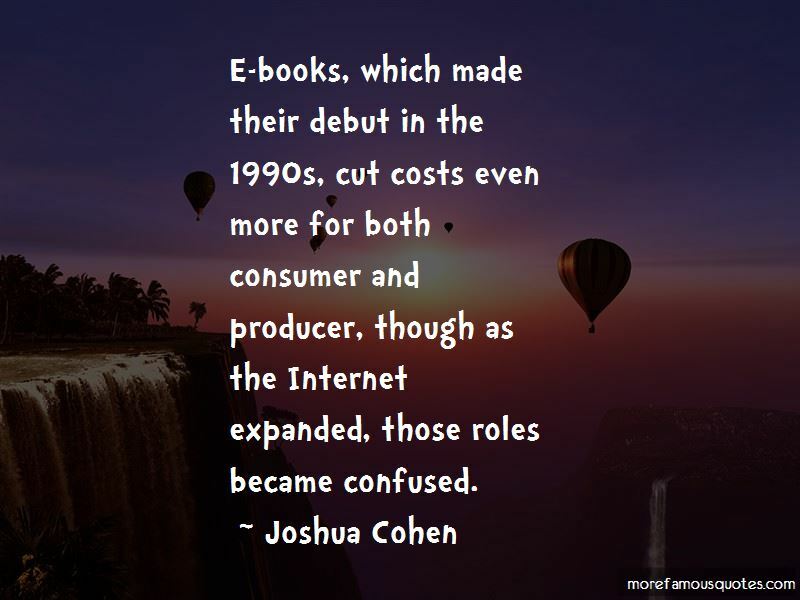 Enjoy the top 46 famous quotes, sayings and quotations by Joshua Cohen. Each and every novel is a world outside the world - for a reader to visit, for comfort, consolation, escape, or challenge. I've never enriched myself via privatization schemes in Eastern Europe. Most literature everywhere and of every time is bad. The problem is Jewish-American fiction that always ends with assimilation back into the community. There are so many classic Big Brother warning books: the Internet is a horrible, controlling thing, as if it has a consciousness or political agenda. Writing is a conviction before it is a craft. You know you're a fool when what you're doing makes even the post office seem efficient. A writer appears in everything that he does. That said, I felt like writing characters with my own name, in fact, provided me with something of a smoke screen. I don't like being victimized by a machine or by other people's demands on my time. I become resentful by feeling forced or incentivized to live a life I don't want to live. That rage in general prevents me from entirely becoming enslaved by technology. I don't think any book of mine will ever come as close to pure fantasy as 'A Heaven of Others.' I'll never again set a book in a world or after-world in which it's impossible to buy a cup of coffee or take an undisturbed afternoon nap. I first read Dostoyevsky when I was 14 years old and was entranced. Dostoyevsky truly is a writer for 14-year-olds, and I mean that in the most approving way - approving of his energy, and rage, his endless pessimism, and endless innocence. 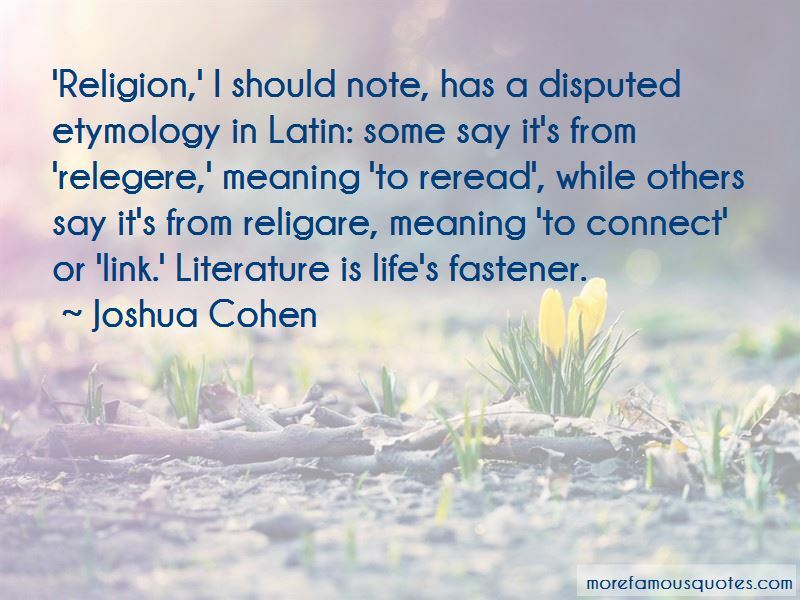 'Religion,' I should note, has a disputed etymology in Latin: some say it's from 'relegere,' meaning 'to reread', while others say it's from religare, meaning 'to connect' or 'link.' Literature is life's fastener. The Jewish calendar, which is lunar, is a calendar of witness. The Sanhedrin, Jewry's Congress, met in Jerusalem toward the end of every month to wait for the new moon. The larger your audience, the smaller your vocabulary and range of referents - the fewer your means of expression. You can't rely on the luxury of intimacy. When knowledge no longer becomes the commodity of the few, but in a sense becomes equalized by everyone having access, you lose some aspect of Jewish particularity, or at least a Jewish particularity that is fundamental to the construct of Jews as people of the book, which was always interesting. 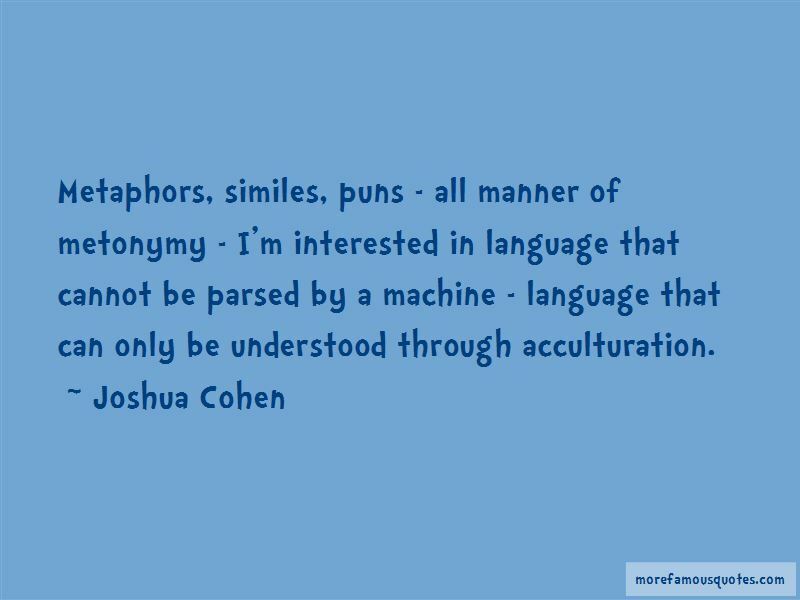 Want to see more pictures of Joshua Cohen quotes? 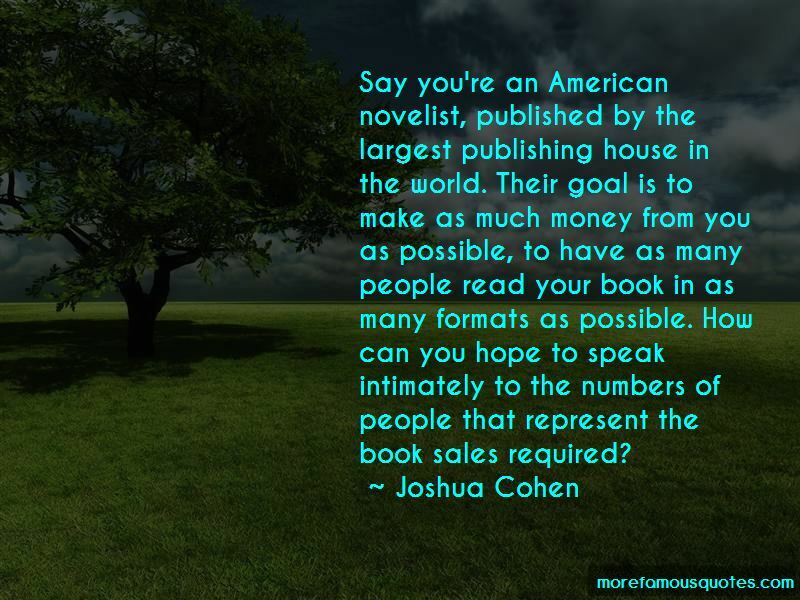 Click on image of Joshua Cohen quotes to view full size.